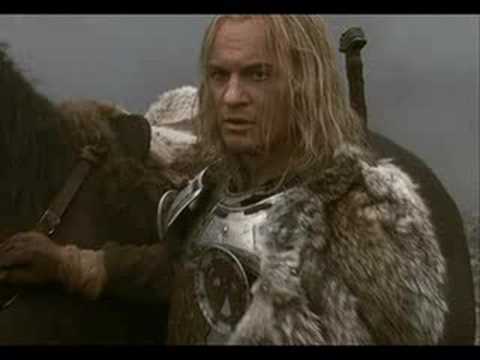 Thread: (OOC) - Characters & Setting from "The Price of Power"
Re: (OOC) - Characters & Setting from "The Price of Power"
Ser Austace Shellings is the only son of the deceased Sir Uther Shellings, loyal banner of House Gargon. Spending his youth as a squire to Lord Arold's father, Austace grew greatly attached to the Gargon family, seeing his liege lord as a paternal figure his children as his older brothers. Serving his Lord during the Usurper's War, he was 15 when he saw Lord Gargon and his older sons die in battle, before his last breath, Lord Gargon made him promise that he would protect Arold, a promise he would took with his heart, even though a few minutes after that he was captured by the rebel forces, being released only after Robert was sitting in the throne. Even though the members of House Shellings are known for the use of herbs, and Austace studied a bit on the matter, he witnessed too many battles and saw too much death, what made him too cold and not caring to deal well with even the basics on how to threat injuries. He relies on the talent of his old mother Nadja when a healing hand is necessary. Austace is a bulky and strong knight and a hardened and talented warrior, with great skill with a spear and even more lethal with a warhammer. He proved himself many times over the years, fighting alongside Ser Godfrey and leading the vanguard during the Greyjoy Rebelion. He's a pious and honorable man, who tries to live his life under the rules of honor and chivalry, in a land where most knights choose to ignore the vows they took. His biggest pain though, comes with the vow that he could not keep, protecting Lord Arold. The death of anothe liege lord affected Austace deeply. He was ordened to stay back home and serve as advisor and protector to Alber and Alwyn, but still feel that he should have been with Arold in his final battle and he is sure that now the gods cursed him for his failure. Not being able of changing the past, the only thing left to do is to support what is left of the Gargon, and try to avoid that Alber or Alwyn find their way into an early death. He already digged too many graves for this family. Last edited by Tyrondir; 07-22-2015 at 10:39 AM. This is a map with all the Houses from the crownlands and nearby territories that are worth of mention. Most of those are petty houses and a few knightly ones too, with little more than a small keep or a tower and a few leagues of territory, with the obvious exception of Velaryon, Celtigar, Massey, Bar Emmon, Mooton, Rykker, Vance, Darry, Hayford, Buckwell and Rosby. Last edited by Saturno; 09-04-2015 at 12:03 PM. Called "Wendel the Weak" after retreating from combat with his men during the Battle of the Whispering Woods, Lord Wendel is a tall and lean man in his late fifties with small inquiring eyes and grey hair. Before the scandal in the war, Wendel was considered a wise and cunning man, whose opinion on different matters was respected by his neighbor lords. He was married to Selena Darry, but she died seven years ago in her bed through a fever. Since his return from the field, Lord Wendel locked himself insided the highest tower in his castle and never stepped out without his personnal guard, the Order of the Leaf, an small order of trusted and veteran knights that serves the castle for generations. The Wendwaters are the one of the wealthiest families from the Crownlands, right behind the Rosbys, not only thanks to their market in Wendwater Way being the biggest outside Rosby and King's Landing, but also through their commerce with the Free Cities. Head of House, Courteous, Cadre, Wealthy, Eloquent. Walmon is the firstborn son of Wendel Wendwater. A man in his forties, Walmon is a wordly man, always travelling to the east where he has stablished trade routes with Myr, overseeing the agreements his father started decades ago, buying and selling goods, and that means he is rarely seen at all in his own lands. Walmon is married to Amele Redding, but he never takes his wife and his sons (Wilbur and Wald) with him in his trips for superstition and for fear of pirates. He is a serious, practical and impatient man who seemingly despises social events. Heir, Anointed, Sponsor, Trade, Wealthy, Wordly. Sedentary (Flaw: Athletics), Brash (Flaw: Willpower). Weldon is a quiet and reserved man in his thirties. Without a single drop of happiness in him, he seems constantly sad and bored. Weldon's single passion is to travel the sea, the only place he feels alive. He is not much for conversation, like his older brother, but instead of being annoyed by others he simply is not good with interaction skills. He was always like that, passing his days in the shipyard, seeing the men working, listening to the sailors. It was said that he was not son of Wendel, in truth being found in the beach and adopted by the lord. He grew to be quite a charming but timid man. But his love for the ships didn't make him any more soft on land. Competent with sword and lance, he won the prize of the Good Winds Festival two times already, being defeated in the melee only by Ser Jaime Lannister, Ser Loras Tyrell and Ser Balian Buckler. Weldon is specially famous for his impressive skills with throwing axes and knifes. Weldon followed his father and his troops to the Riverlands, and actually fought the Northeners before his father ordered a retreat. Knowledge Focus (Sailing), Terrain Specialist (Coastal Lands), Weapon Mastery (Longsword), Long Blade Fighter I, Hail of Steel. Shy (Flaw: Persuasion), Transparent (Flaw: Deception). The youngest child of the Wendwater, Wylla is Lord Wendel's little girl and most precious treasure. 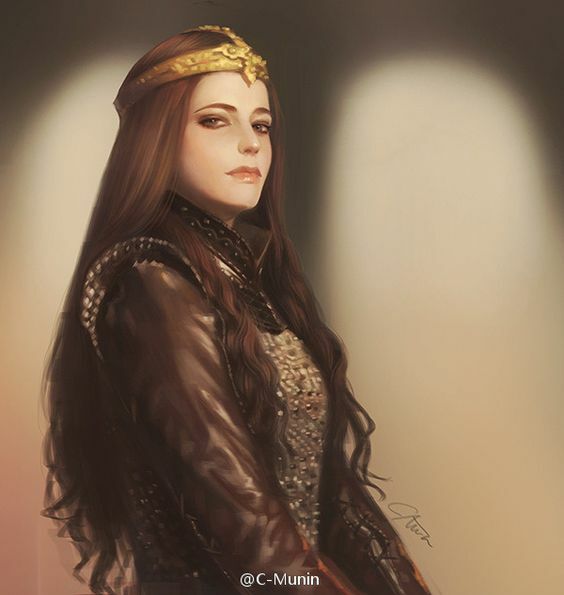 She is polite, beautiful and charming, and since she came of age many knights from all the Seven Kingdoms tried to gain her favor, at least until Lord Wendel arranged her to marry to the prodigious and young Ser Laurel, one of the younger sons of House Florent. All changed with the war, and with the young knight death at the Blackwater. With the Florents too busy fighting to keep their own lands, it seems Lord Wendel will have to find a new husband for his child, what warms the hearts of many young nobles from the Crownlands. Last edited by Saturno; 02-11-2016 at 10:37 AM. Lord Beros is a unpleasant man. He is vain, rude and stubborn. His greatest achievement was be the elder brother of Ser Boros Blount, member of the prestigious Kingsguard of the Redkeep, what makes his House a close supporter of King Joffrey Baratheon. Impacient and arrogant, Lord Beros commonly uses his privileged position to bully others around him. He fancy himself a great warrior, and indeed he won his part of tourneys and melees in his youth, but now, reaching his sixty years, Lord Beros has more fat than muscle to back his claims. The Blount are a poor House, more known for it's ill-famed Lord than for it's achievements, whose seat is a small wooden keep in the heart of the Kingswood called Spikehall. Head of House, Brawler I, Axe Fighter I, Tough, Sponsor (the Queen). Crippled (He is almost obese), Clumsy (Flaw: Agility), Wretched (Flaw: Status). The twin sons of Lord Beros are just like their father: fat, stupid and aggressive. Bertold is the older, and that means he is more arrogant than his brother, Bilbur, who actually knows when to be silent. They are generally together, and it is not uncommon for they to fight and quarrel over anything. Only their father is capable of putting sense on their heads, and many fear what may happen when old Lord Beros dies. Bertold: Heir, Axe Fighter I, Fury, Stubborn. Bilbur: Long Blade Fighter I, Shield Mastery, Tough, Treacherous. Bertold: Obtuse (Flaw: Awareness), Haughty, Brash (Flaw: Will). Last edited by Saturno; 11-20-2015 at 12:57 PM. Born after nearly ten years of miscarriages and dashed hopes, Alwyn's parents doted on him from the very beginning. Even after the births of his three younger siblings, he retained a special place in Lord and Lady Gargon's hearts – so much so that they resolved not to send him away to be fostered with another noble family. Despite this preferential treatment, Alwyn avoided becoming an insufferably spoiled brat. Instead, he grew into a dutiful young man with a deep love for his family and a clear understanding of just how privileged he was (and is). However, Alwyn's early years weren't all smooth sailing. To his shame and embarrassment, he suffered from severe seasickness and no treatment Maester Jormon could come up with seemed to help. Finally, Jormon suggested that Alwyn join the fishermen when they went out fishing, hoping that increased exposure to the sea would at least lessen the effects of his condition. Alwyn suffered through the maester's prescribed regimen for almost two weeks before the fishing fleet was caught and scattered in an unseasonable storm. The boat Alwyn was on broke up and sank, and he almost drowned before managing to find a piece of wreckage to cling to. He was rescued the following morning, when Lord Arold ordered every available vessel out to search for his son, but Alwyn has been deathly afraid of open sea ever since, and refuses to set foot on any ship except in the direst of circumstances. If the sea became Alwyn's personal bugbear, the pursuit of chivalry was his holy grail. Like most boys of his station, Alwyn was trained in the art of war from an early age, and he dreamed of becoming a great knight. His heroes were men like Barristan Selmy, so he was delighted when the Gargon household attended a royal tourney in King's Landing four years ago (the tourney was famously won by Ser Barristan at the ripe old age of 57). Alber was also in attendance, and for the first time in many years the entire family spent some time together. It was a tense meeting, but Alwyn made some headway with Alber, who took it upon himself to guide his little brother around the city. It was during one such walk that they came upon a gang of thugs who were beating a dwarf in an alley. While Alber was prepared to leave the dwarf to his fate, Alwyn's sense of chivalry pushed him to intervene, leaving Alber little choice but to charge after his little brother. With Alber's help the thugs were soon seen off, and to the Gargon brothers' great surprise, they found that they had rescued a very drunk Tyrion Lannister, who had been touring the nearby brothels incognito. The brothers escorted Tyrion safely back to the Red Keep, where he swore them to secrecy about the whole affair before they parted ways. Some days later, however, Tyrion approached Lord Arold and revealed that the attack had not been a coincidence, but a matter of politics. Because he had aided Tyrion, Alwyn and his family now risked becoming targets as well. In order to prevent any unfortunate “accidents”, Tyrion sent Ronnel Pyke to watch over the Gargons in general and Alwyn in particular. This proved to be a fortuitous decision – in the last days of the tourney, Pyke successfully prevented an attack on Alwyn, and as a result Tyrion and Alwyn were able to prevail upon Lord Gargon to take Ronnel with them when the family returned to Greenwalls. This incident also marked the beginning of a growing friendship between Tyrion and Alwyn. They corresponded regularly and the Imp became something of a mentor to the younger man, freely offering advice on matters great and small, while encouraging Alwyn to broaden his horizons beyond simply becoming a great knight. When the War of the Five Kings began, the frequency of their correspondence lessened considerably, but it never stopped entirely, and even as he struggles to cope with his duties at Greenwalls, the lack of word from Tyrion after the Battle of the Blackwater is a matter of growing concern to Alwyn. At sixteen, Alwyn has just become a man grown, and he is having to grow up quickly. Until the disaster of the Whispering Wood, he dreamed only of making his mark on the world as a great knight by performing glorious deeds of valor in the manner of his idol, Barristan the Bold. Now he finds himself thrust into the position of heir to House Gargon and, in the absence of his lord brother, he has had to take responsibility for the day to day management its affairs. Fortunately for House Gargon, Alwyn is not only a devoted adherent of the chivalric code, he also possesses a very strong sense of duty and wouldn't dream of shirking his new-found responsibilities. The death of his father and the staggering losses suffered by House Gargon's military have also had a profound effect on him, cooling his martial ardor considerably. Under the subtle influence of the Imp and the ever-present Shadow, Alwyn is further beginning to accept that if he is to carry out his duties successfully, he must be cunning and pragmatic as well as chivalrous. Normally serious and thoughtful, there is much of his late father in Alwyn, but he also has a sly, understated wit that makes him easy to like, and when necessary he can display the fierceness and commanding presence of a true Valyrian. However, he sometimes worries that his Valyrian blood may run too strong – when sorely provoked, he has been known to fly into terrible rages during which he has great difficulty controlling his actions. In fact, Alwyn sees something of his uncle Artos' and his cousin Meldred's fury in these rages, a thought that simultaneously frightens him and makes him more sympathetic to their plight. Only a short while ago, Alwyn was still an awkward, gangly boy, beset by acne and a horrendously squeeky voice. Now his complexion has cleared up, his voice has settled, and his form has filled out nicely, leaving a fine-looking young man who, though he hasn't fully realized it yet, is sure to make inroads with many an eligible maiden. Alwyn's looks heavily favor his mother's side, and his eyes are normally a warm brown color, but when his blood is up they seem to darken, taking on the purple shade that is characteristic of House Gargon. He understands the importance of keeping up appearances, and so dresses as well as the family funds allow, favoring a mix of blues and greens in everyday wear. Possessions: Noble's garb, signet ring, scale armor, large shield, longsword, war lance, dagger, rounsey, pavilion tent. Last edited by rax; 09-08-2016 at 01:53 PM. All you get is a cold, silent stare. Twenty four years old, Ronnel Pyke was born in Lordsport on Pyke, the son of Uller the Squid – a reaver, sellsail and sometime trader from House Myre – and a whore taken from the island of Sweetsister. Although his father paid him little mind, he did at least acknowledge Ronnel as his own, and when his mother died he brought him to work as a cabin boy on his ship, the Quiet Storm. Ronnel's status as Uller's son gained him no advantages, however, and he learned early on to pay the iron price for anything he needed or wanted. Eventually, this earned him the respect of his shipmates, and even his distant father indicated some level of approval. So Ronnel grew to manhood, raiding and trading from the Iron Islands to the Narrow Sea. Uller made good use of Ronnel's keen senses and talent for stealth, using him as a bodyguard when dealing with untrustworthy trading partners and as a scout when preparing for a shore raid. This all came to an abrupt end some six years ago. Uller had contracted as a sellsail to fight other pirates and privateers in the Stepstones, but after some initial success the Quiet Storm was defeated in battle and the Squid was killed. The survivors were taken to Tyrosh, where they were sold as slaves. To Ronnel's surprise, his new owner didn't send him to the fields or mines to be worked to death. Instead, he informed him that he had heard of Ronnel's talents from the other ironborn, and that an associate of his had need of a man with such skills. He was therefore being resold to his master's associate and would be sailing to King's Landing on the next tide. Ronnel spent the journey to Westeros chained in the deepest hold of a trading galley, and conditions did not improve much when he reached King's Landing. He was blindfolded and then escorted to a cellar across the city. There he met a hooded man wearing a heavy brown robe and smelling of sweat, who introduced himself as Ronnel's new master. He had one of his guards hand Ronnel a knife and explained that in the house above them, there were two men that Ronnel must kill for him. If he succeeded, Ronnel would be given the run of the city, on the condition that he faithfully carry out any orders his master sent him. If he served loyally and successfully, he would eventually be given his freedom, but until then any attempt to leave King's Landing would result in harsh punishment and repeated infractions would see him dead. Wordlessly, Ronnel took the proffered knife and slipped away into the dark. A short while later, he returned with the heads of his two victims. His master proved true to his word – Ronnel was given a small pouch of silver and turned loose to make his own way in King's Landing. He immediately sought to escape the city, but he never even made it to the gates before being recaptured and brutally beaten. Of course, as soon as he had healed sufficiently, Ronnel made more attempts, but each one ended much the same as the first one, and he soon learned to fear and respect his mysterious master, resigning himself to a life of forced servitude. For the next two years he was often called on to visit his master's vengeance on the denizens of the capital. Then one day Ronnel received an unusual command – he was to place himself at the disposal of Tyrion Lannister and to follow his orders to the letter. The Imp set him to watch over young Alwyn Gargon, ordering him to prevent any attacks on the boy or his noble family. Ronnel shadowed Alwyn for the better part of a week before an attack came, but it was almost disappointingly amateurish, and he easily disposed of the clumsy would-be killers. The fallout of this affair was not what Ronnel expected. Tyrion insisted that he should accompany the Gargon household back to Greenwalls and remain there as Alwyn's bodyguard, and to Ronnel's surprise, his master agreed. He also informed Ronnel that, if he kept faithful watch over Alwyn until he received word from King's Landing, his master would release him from service and he would be free to make his own way in the world again. In the four years since, Ronnel has never strayed far from Alwyn's side, a habit that quickly led the inhabitants of Greenwalls to dub him “Alwyn's Shadow”. His early hopes that he would soon be free of his master's yoke have faded, but in truth his service to House Gargon has been far from onerous, and despite himself he has grown to like and respect his young charge. He still waits for word of his release to come from King's Landing, but even Ronnel doesn't know whether he would actually leave Alwyn's service when that day comes. Ronnel Pyke is a hard man who kills easily, but not without cause. Of course, in many cases the cause is little more than a flimsy pretext, but such minor moral quibbles have long since ceased to worry him. His upbringing and experiences have made him a deeply cynical person, with little concern for anyone but himself. This self-centered nature has ensured that he has few real friends, but Alwyn, at least, is one of them, even though the two men are in many ways polar opposites. Despite his character flaws, Ronnel also displays some of the more noble traits of the ironborn – he is personally courageous, stoic in the face of hardship, and mostly trustworthy once his word is given. Another notable trait is that he only rarely speaks. In fact, calling him laconic would be a gross understatement – except in the direst of circumstances, Ronnel's communication consists largely of various grunts and a well developed body language. A lean, sallow-faced man with cold sea green eyes and black hair, Ronnel Pyke is of average height. He cultivates a cooly neutral, almost emotionless expression, though he will occasionally allow himself a sardonic smirk when amused. He has a talent for coming and going unnoticed that many find disconcerting, but even more disturbing to most are his webbed fingers and toes – an inheritance from his mother. Ronnel dresses simply, in drab colors such as grey, black and brown, but since moving to Greenwalls he will often complement this with a single article of clothing in green to demonstrate his new allegiance. As Alwyn's bodyguard, he is almost always well armed, and in particular he never goes anywhere without a brace of daggers and knives. Possessions: Traveler's garb, mail armor*, hard leather armor, large shield*, longsword*, dagger, dirk, superior stiletto, 2 superior knives, locksmith's tools, rounsey. Last edited by rax; 04-18-2016 at 12:51 PM.